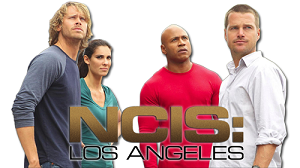 Hey, Densi fans — you guys ready for a major episode of NCIS: Los Angeles tonight? Another kiss, perhaps? Without giving too much away, I can say that tonight will feature a monumental moment for one (or several) of your favorite characters as the team investigates a burglary at a cyber-security company. The episode (titled “Humbug”) also features some fun scenes at the ice-skating rink in Downtown Los Angeles, which the cast and crew graciously invited us to be a part of to get the scoop on what’s to come! Glamour: Eric, what would you like to see happen for Densi? Eric Christian Olsen: I think this episode specifically is a really pivotal episode. These are two characters who have kind of used self-preservation their whole lives to avoid being hurt, and then taking it to a place where they can’t come back from, and that’s dangerous, but that’s going to be the future. This episode is a big one for them. Glamour: Are we ever going to delve into your past and why you gave up being a lawyer to become a cop? Eric: Yeah, we were supposed to do that last year, but then Daniela Ruah went off and had a kid. [Laughs] So I know what the backstory is behind it, and at some point they’ll go into why he gave up being a lawyer. 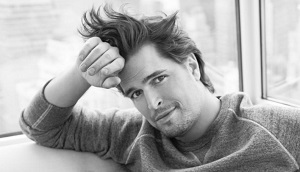 Glamour: Daniela, your husband is a stunt double on the show, as well as Eric’s brother. This is fascinating! How did this happen? 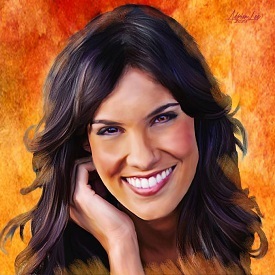 Daniela Ruah: We didn’t meet on set, but we met through Eric. Glamour: Is it weird that something might happen between your characters when you’re married to his brother in real-life? Daniela: No, I think the build-up between Kenzie and Deeks has been going on for so much longer than my relationship with David. We’re all in the business, we’re all professionals, and the most important thing is to keep the audience interested in the relationships of these characters, and we’ll do what we have to do to make that happen.